For the following quote to have its highest effect, you have to imagine that Morpheus from the Matrix is saying it. Ready? Alright. “What if I told you that drinking water after a massage doesn’t flush out toxins?” Boom. There’s a lot of false information out there regarding health, diet, exercise, and this crazy concept that these evil little devils called “toxins” just casually hang out in our bodies making us feel gross, or preventing us from being our best selves - whatever the folks writing the information need us to believe to buy their product or subscribe to their lifestyle. A “toxin” is, by definition, a poison of plant or animal origin that induces an immune response. No matter how hard you try, a massage cannot and will not release the toxins left in your body by a rattlesnake or water hemlock. Surprise! Even though they might not be great for you for other reasons, things like nicotine, caffeine, high-fructose corn syrup and medications are NOT toxins. This notion that an even vaguely unhealthy lifestyle is leaving behind dangerous “toxins” in your body is, frankly, garbage. It’s simply, objectively, and definitionally untrue. Don’t get us wrong, there are plenty of good reason to drink plenty of water before AND after a massage! Here’s a couple to satisfy your curiosity. Some deep tissue work can make you feel a little sore afterward. This is especially true for people who don’t live an exceedingly active lifestyle, or for folks who have never had deep tissue work done before! Drinking water can help relieve that soreness more quickly or help prevent that soreness from occurring in the first place. The “good feeling” in your muscles can be extended if your body is properly hydrated. Drinking lots of water is good for your muscles. It keeps them sponge-like where the blood can move freely throughout. If you’re less hydrated, your muscles might feel more stiff due to the constriction of blood in the muscles. Water is just good for you! So many of us forget that you’re supposed to drink 8 glasses of water a day, what with there being so many beverage options out there. Getting a massage? Drink water! Not getting a massage? Drink water anyway! Your body will thank you. There you have it. 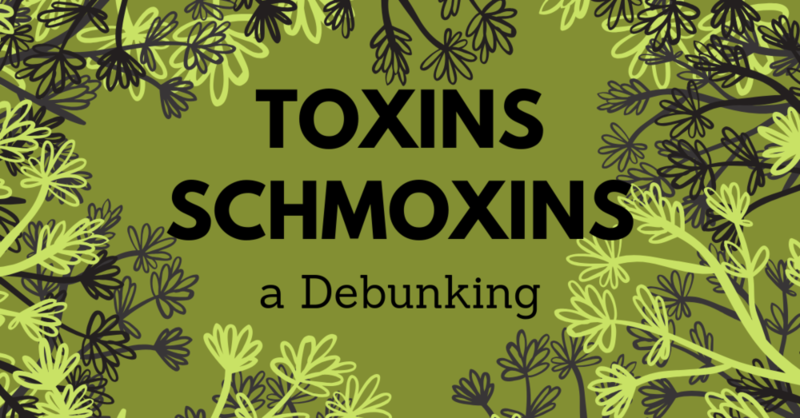 Toxins are very real in our world, but not in the way you may have been told. Massage therapy has incredible benefits on its own that it’s unnecessary to tack on myths about “flushing out toxins”.